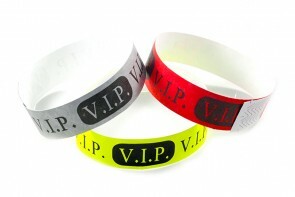 VIP tyvek wristbands for special entry to certain venues. Colorful background colors with black printing. 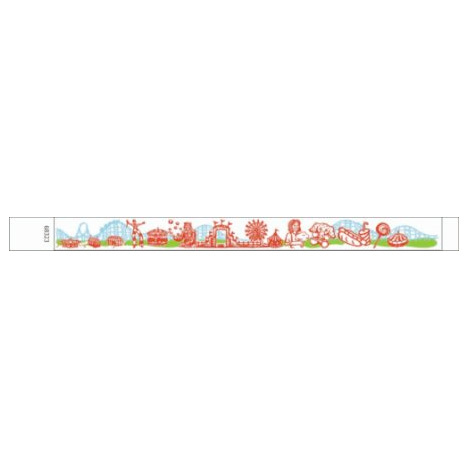 3/4" x 10" VIP wristbands are for your special people, and they make people feel special when they get the VIP treatment. 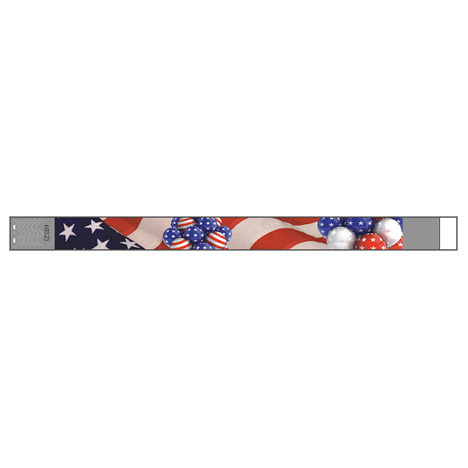 The VIP bands are low cost security for your event and come is several different background colors with Black VIP printing. 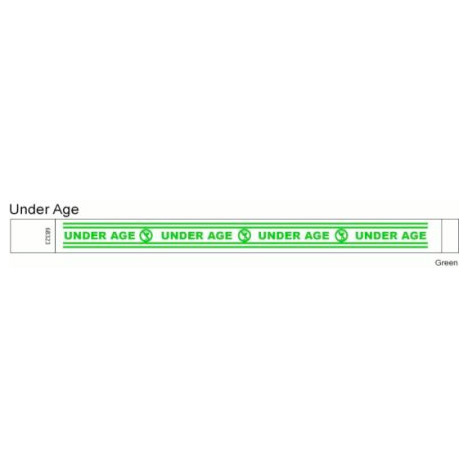 Each wristband has tamper proof slits, backed by an aggressive adhesive, and come consecutively pre-numbered for excellent inventory control. Application is easy. Simply remove the covering from the adhesive, wrap the wristband around the wrist, and adhere it onto itself. If someone should try to peel it back in an attempt to apply it to another person, the adhesive holds securely to the Tyvek material, and the tamper proof slits shred apart making reuse almost impossible. These are totally waterproof and contain no harmful chemicals. 1 Quantity = 500 Wristbands. Quantity Discounts apply at 10 boxes or more. The discounts are applied to your order at checkout.